Aw, say it isn’t so, Instant Pot! And on the heels of our favorite TV dad’s malfunctioning slow cooker? Come on! We’re still in mourning for This Is Us‘ Jack — how are we supposed to cope with reports that one model of Instant Pot’s super-popular multi-cooking wonder gadget is overheating and melting, posing a real-life fire risk? Yes, we’re sad to say that the company behind everybody’s latest addiction, the Instant Pot, reported on its Facebook page on Feb. 17 that there have been numerous incidents of one of its models having actual meltdowns. Not just a This Is Us-triggered emotional meltdown. We’re talking thick plastic casing bubbling away on the bottom of the cooker to reveal the appliance’s wiring — yikes. Now, don’t panic just yet. Chances are good that your Instant Pot is just fine. The model in question is easy to spot: It’s the company’s only oval-shaped multi-cooker, the Gem 65 8-in-1. Michigan mom of three Vanessa LaClair told ABC News she received the Gem 65 8-in-1 for Christmas and used it only a few times before she realized the cooker had melted clean through on the bottom, scorching the wires inside. LaClair told ABC News she was worried for her family’s safety. “I enjoyed how it cooked the food,” she said, “but not as much as I enjoy the safety of my family.” Fair enough. “As a parent that’s not something I want to worry about when I get a product from a store,” she added. LaClair posted about the incident on Facebook on Feb. 13 to alert others to the potential hazards of the model. 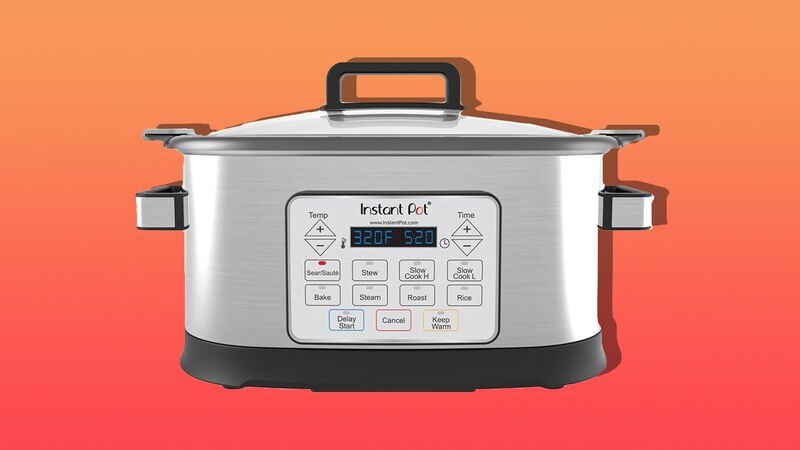 Instant Pot has yet to issue an official recall, but the company told ABC News it’s taking the matter “extremely seriously” and is working with the Consumer Product Safety Commission. “We anticipate providing updated information and next steps regarding [affected consumers] receiving a replacement Gem 65 8-in-1 Multicooker within the next few weeks,” the company said. But some loyal Instant Pot customers are angry about the Facebook announcement, accusing the company of copying and pasting the words from a form letter sent to Gem 45 cooker owners already. A moderator for the Instant Pot Facebook account has since turned off commenting for the Feb. 17 post. Instant Pot, we expect better from you. Get your act together and issue a formal recall, OK?